As our digital world gets more complex, the ability to precisely target our desired audience is becoming more and more critical. As you know, Facebook knows everything about you, and everyone else. From the types of movies we like, to where we like to eat out, to which style of clothes we like, to how many children we have etc. What is now possible when it comes to online advertising, is to give Facebook a list of people that have enroled or shown interest in enroling, and get back a much bigger list of people with similar interests, and matching demographic information. What’s even better, is that you don’t have to troll through your school admin system and dig out names and emails. You can simply place a small bit of code on your website, and Facebook will work out the rest without breaching anyone’s privacy or personal information. Can you see the potential in this? This is where we are headed. Online advertising will be all about placing “pixels” soon. Now, there is a right and wrong way to do this. Hint** Start by placing a pixel on your Fees page instead of your home page. You can easily blow your ad budget if you do this wrong. To learn more about how to effectively advertise online, take a look at our training for the “Enrolment Booster Execution Plan”. 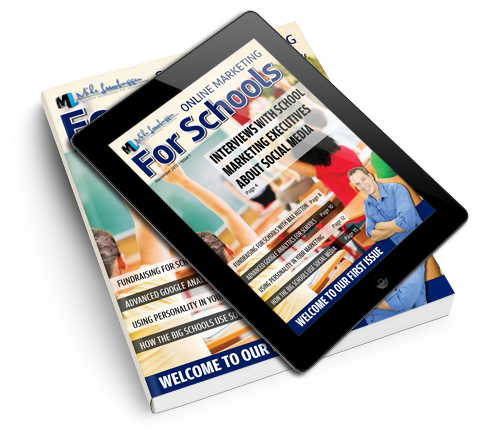 http://onlinemarketingforschools.com/wp-content/uploads/sites/48/2015/10/Screenshot-2015-10-06-17.08.18.jpg 188 263 Mike Leembruggen http://d1mh3nop5nhmtc.cloudfront.net/wp-content/uploads/sites/48/2015/09/OMFS-LOGO-v3-340px.png Mike Leembruggen2015-10-06 12:37:482015-10-07 12:39:45Advanced Facebook Ad Targeting - "Your Competition Doesn't Know About This Yet"